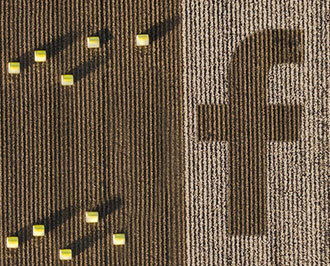 Tama’s rich experience in the manufacture of crop packaging and our own familiarity with mechanical cotton harvesting on our farm, positioned Tama to cooperate with John Deere and develop the new packaging for cotton being baled as part of the harvest process. 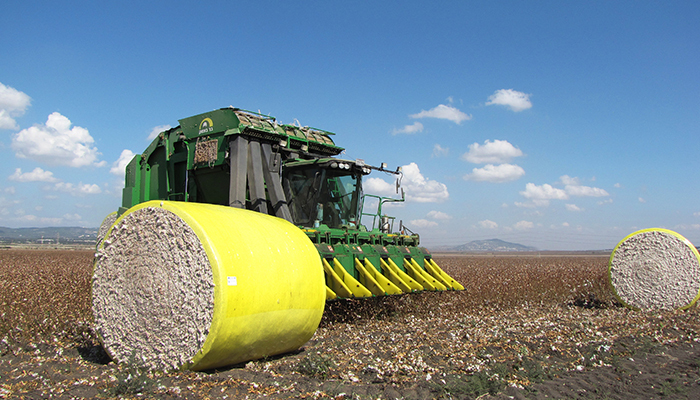 Tama RMW™ cotton wrap was developed to complement the John Deere 7760 | CP690 | CS690 cotton harvesters that bale the cotton in a continuous process without stopping the harvester. 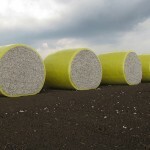 This innovative wrap is specially designed to avoid the potential of plastic fragments and the risk of cotton contamination. 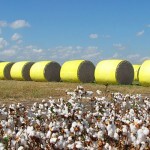 It assures reliable automatic packaging for non-stop harvesting, helps to maintain the quality of cotton in round modules which are exposed to extreme conditions, and helps to eliminate waste. 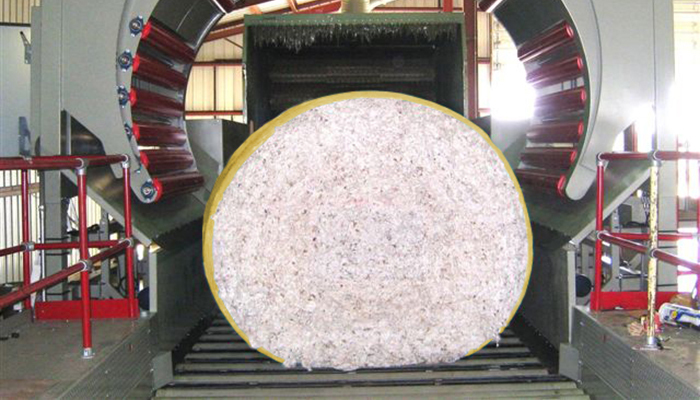 Tama RMW™ is made of pre-cut wrap portions in order to avoid the potential of plastic fragments. 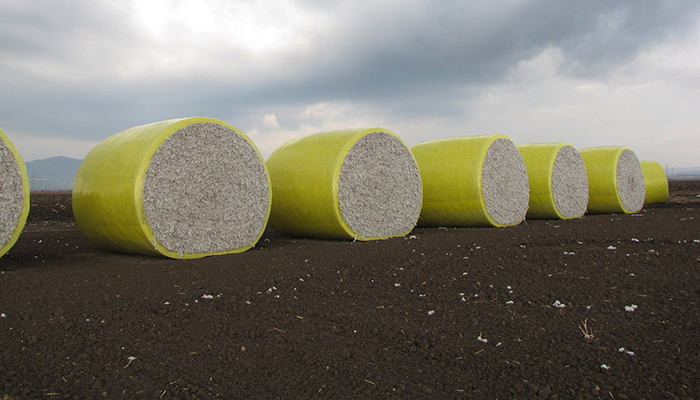 Wrap goes over the edge to minimize cotton waste and exposure to rainfall, and holds tight the shoulders of the round module. 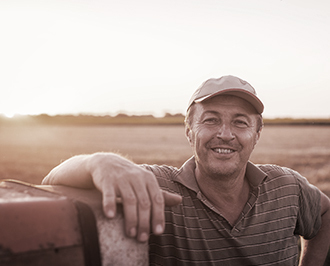 The RMW™ is UV protected and designed to last a minimum of 6 months. 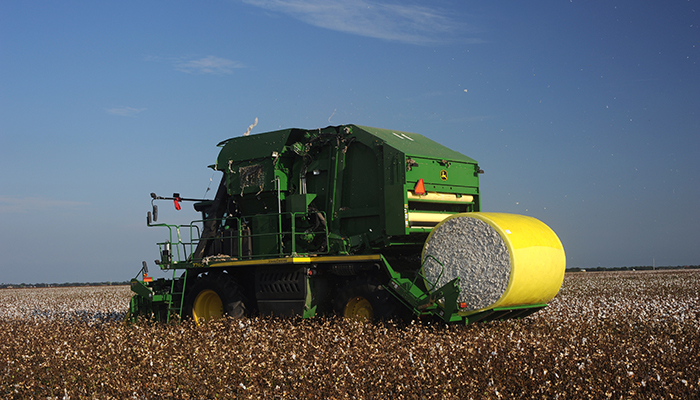 Every wrap includes RFID tags to provide the capability to track the individual module through harvesting and processing, all integrated with the electronic systems of the John Deere 7760 | CP690 | CS690 cotton harvesters. 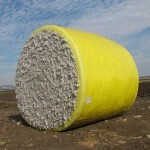 Each roll has its own ID number located inside the core, and on the leading edge of the first wrap. 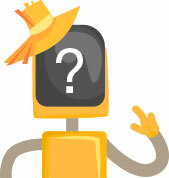 Each RMW™ has a unique serial number, located on the metallic label of the wrap. 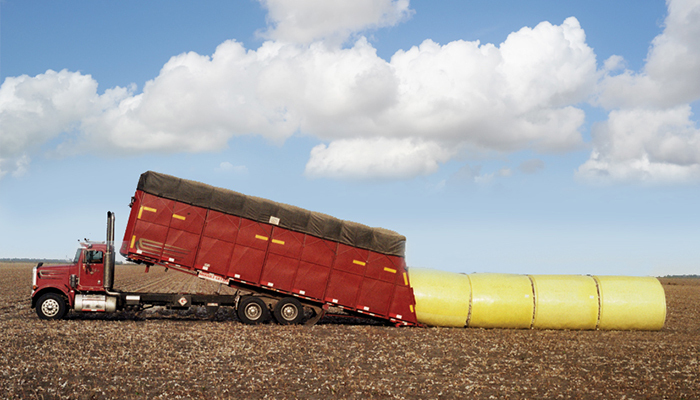 The RMW™ concept eliminates the constant maintenance and cost of the tarp. 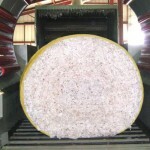 A savings in the production cost of the ginning process. 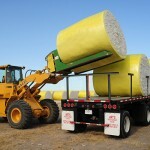 The Z-LOCK™ system connects and separates each individual wrap on a roll, so the roll is made of 24 “ready to use” wraps. The Z-LOCK™ system assures the next wrap is ready to be fed correctly. The tapered structure maximizes the durability of the tail in windy conditions. 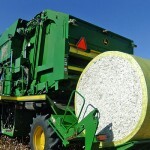 Two types of specially designed adhesive secure the tail of a wrapped module in tough conditions and minimize the risk of cotton contamination. 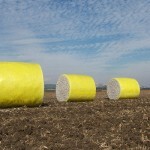 The inner layers are a non-tacky film with particular properties which prevent cotton from sticking to the wrap. The outer layers are a special formulated film which is tacky on one side only. 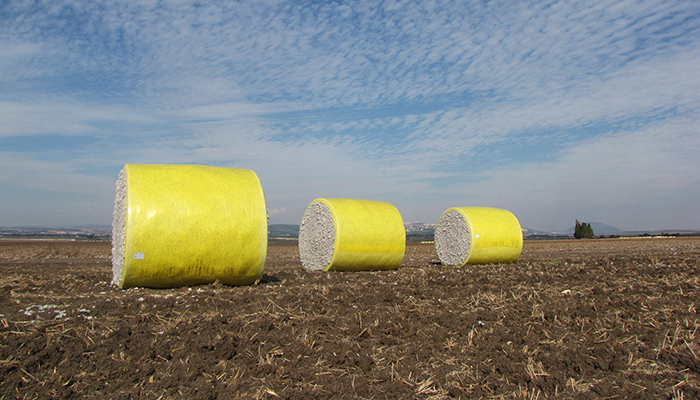 The combination of these two types of film ensures that the round module will hold its uniformity for transport and processing. 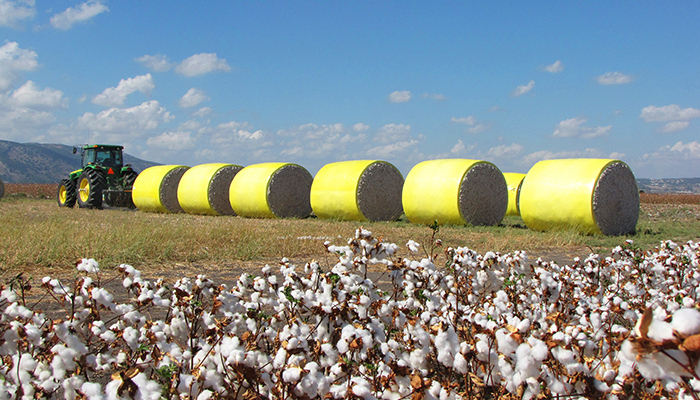 Tama RMW™ was developed to complement the John Deere 7760 | CP690 | CS690 cotton harvesters that bale the cotton in a continuous process without stopping the harvester. 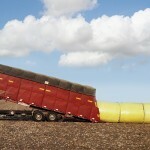 Round Cotton Module Rolled into River. 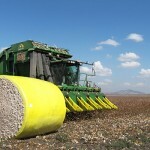 Some of today's top cotton producers and ginners explain how the John Deere 7760 has revolutionized the cotton industry. 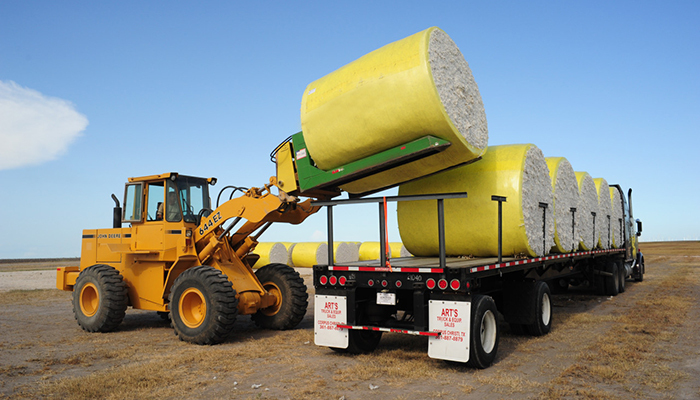 Procedure for loading Round Module Wrap RMW™ into the John Deere C690 cotton harvesters. 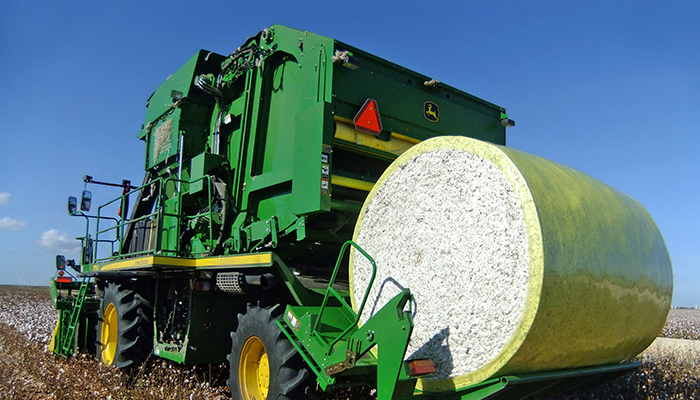 Video showcases the new features & benefits of the new CS690 Cotton Stripper. 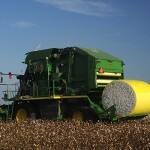 Tama RMW™ - 360o of cotton wrap technology.